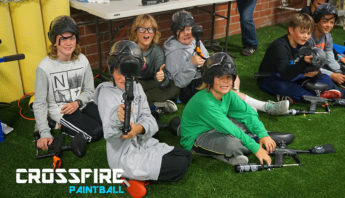 Indoor Paintball: One of the Fun Things to Do with Kids in Wilmington, NC! 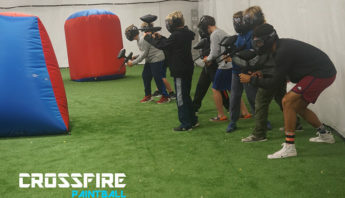 If you are new to the game, then here’s a quick overview of what to expect when you visit us at Crossfire Paintball! 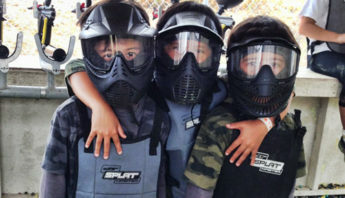 To keep indoor paintball as being one of the fun things to do with kids in Wilmington, NC, we always play it safe. One of the very first things that you should pay attention to is your mask. When you get issued one, you want to make sure that it is the correct fit. So, when you are given one, adjust the straps and pull it over your head and ears to see how it fits. Then, you simply slide it down onto your face. Make sure that it feels snug and secure, because you are going to do a lot of running, squatting and dodging during your game. You don’t want your mask to jump up and down your face when you’re playing. There are two straps on the back that feel a lot better around your head when they are not sitting right on top of each other. Move one of them to the top portion of your head, and the other towards the back. 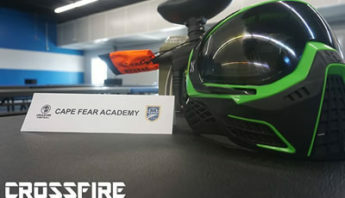 When it feels comfortable, you’ll be able to duck low behind barricades and shoot your paintball gun more accurately because your mask won’t be a distraction. One good test to be sure that your mask is on secure is to put it on, then jump up and down a few times to see if it moves around on your head. Ok, now you need to learn how to work the safety on your paintball gun. This lever is easy to find, and is located directly behind the trigger. When you push the lever from right to left, you’ll see a red portion of it pop out of the other side. This means that your gun is ready to fire. To put the safety back on again, all you do is push the lever back to the other side. 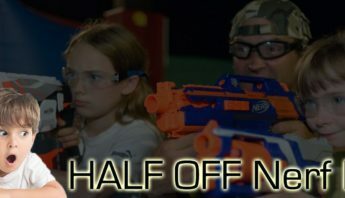 This easy to use feature good for younger paintballers, and is one of the things that make our facility one for fun things to do with kids in Wilmington, NC. You also will pay attention to the air level that your gun is on. It has a compressed air tank, and the numbers on it will let you know where you stand as far as air pressure/shooting power. The main number to worry about is #2. As long as your dial is higher than that, then you have enough air in your tank to continue playing. If it falls below 2, then you know that you need some more air pressure. Look for a referee, and when you see one, walk over to the tables where they are, check in with one of them, and get your air refill. Then, you will be allowed to return to the fun game you are currently in. The next thing that you need to learn about is the barrel sock. Anytime you’re in an area where you don’t need to be wearing a mask, the barrel sock should always be on. One example of these areas is the one where spectators watch the paintball games. You want to keep your barrel sock on for safety reasons, being that no one is fully protected at the time when masks are off. The next part of the paintball gun that you want to pay attention to is the hopper. This is where you load paint into. All you really do is locate the opening on the paint canister (which is in plain view), open it up, pour your paint in, and close it shut. When you hear it snap, then you know you are good to go! If you are new to paintball, you will get a training session when you get to the facility, but here are a few things that you’ll need to remember regularly. The first thing to know is that whenever you are hit by a paintball anywhere on your body, it means that you are out. Even if you get hit by an opponents’ paintball on your own paintball gun, then that still counts as a body hit, just as if the paintball had hit you anywhere on your legs, arms or torso. Sometimes a player who is caught up in the game may feel like they have been hit. The automatic reaction is to look towards the spot on your clothing that you felt the impact. But, let’s say that when you do look, you don’t see any paint on your clothing. If you don’t see any paint, then lucky you…you’re still in the game! In the event that you do get hit and see paint on you, then you will scream “I’m out!”, then go to the field entrance (keep your mask on at this point). You will then be directed to move to what is called the “dead box”. This is basically the waiting/holding area where you will wait for the remainder of the game that you were just shot in. The important thing to remember overall is to remember that safety is first. This is what our helpful referees keep an eye out for being that, although paintballing indoors is one of the fun things to do with kids in Wilmington, NC, there are still many folks out there who have never played before. This novice group is not only young children, but also teens and adults that are new to the game. Also, many people may have played paintball outdoors before, but not inside. So, the training you and your group receive when you visit our facility is helpful for both experienced and new players. 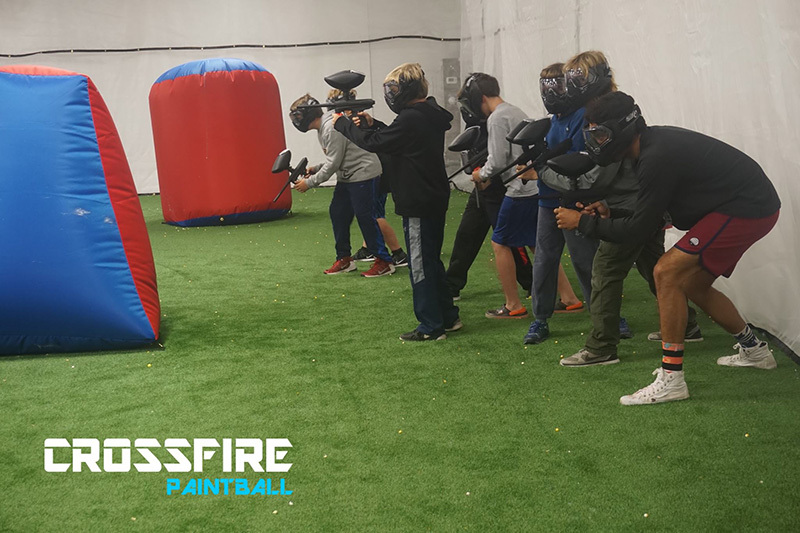 Here at Crossfire, we are proud to currently be the only indoor paintball park in the State of North Carolina, and can’t wait to see you here! Feel free to contact us today to schedule your games.